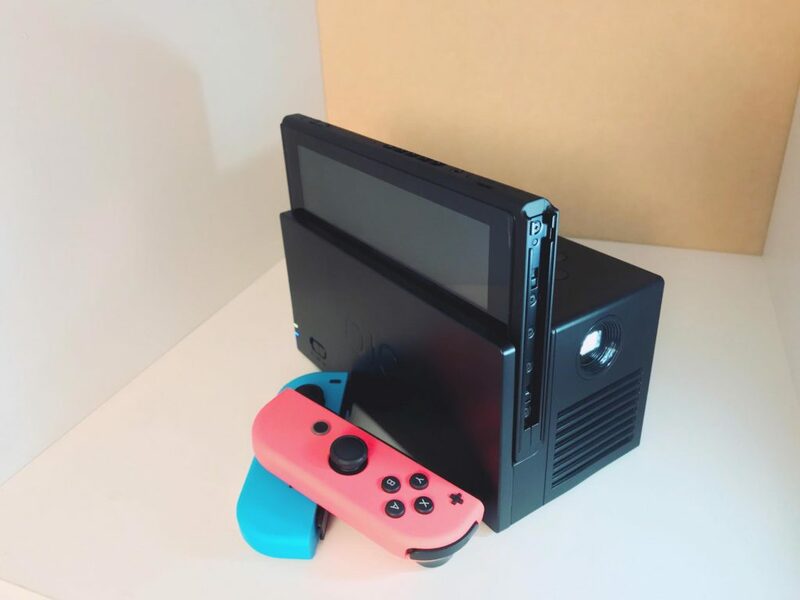 YesOJO – an ingenious Chinese gaming accessory manufacturer – was busy putting together the single coolest gaming accessory we have ever seen for the Nintendo Switch! 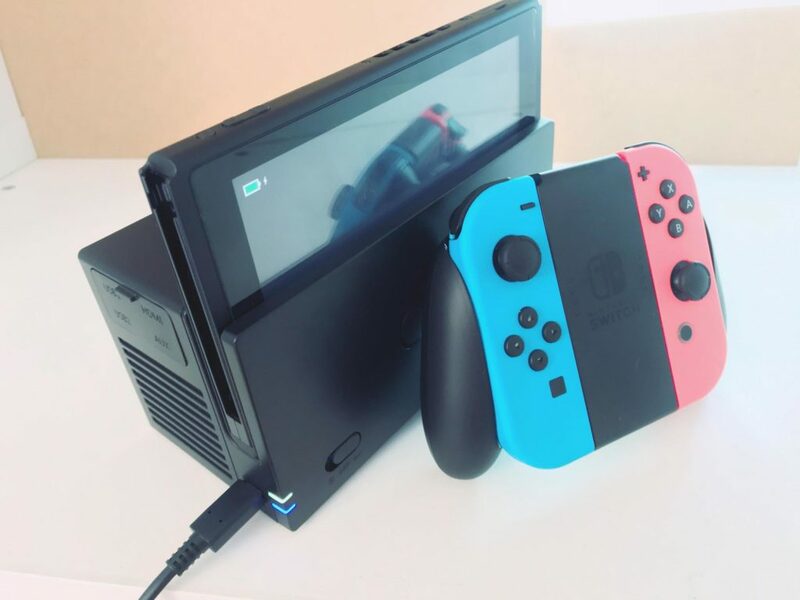 Sharing the small 6.2-inch screen of your Nintendo Switch with 4 players has always been a bit of a nightmare… Although some games such as Mario Kart 8 Deluxe technically allow players to do so, it has never really been a great way to share a fun gaming experience with your friends while on the go – or anywhere for that matter. Unfortunately, neither of these options are fun (or realistic) which is where YesOJO’s OJO Projector for the Nintendo Switch comes into play! 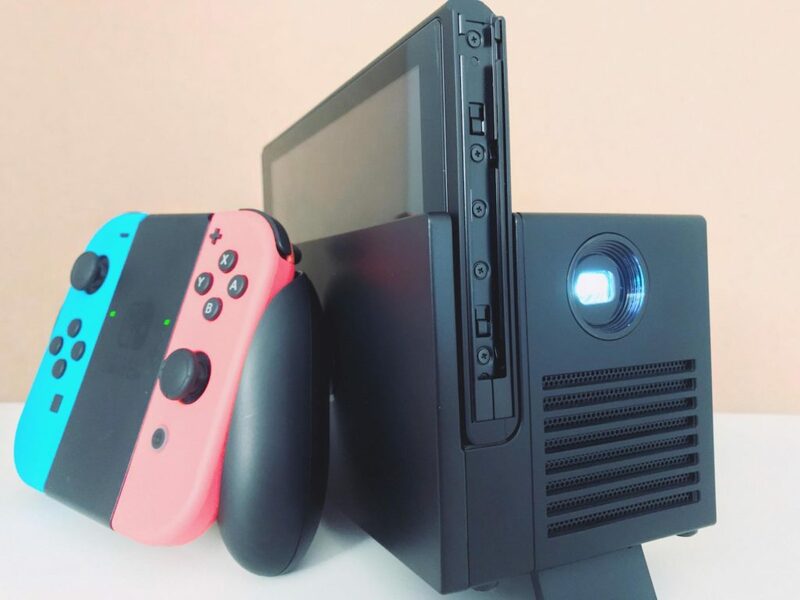 Built to both look and feel just like the official Nintendo Switch Docking Station, the OJO Projector allows you to project the screen of your Nintendo Switch to a size of up to 120 inches, for a maximum of 4 hours “without a power supply!” – thanks to the included 20,400mAh battery! 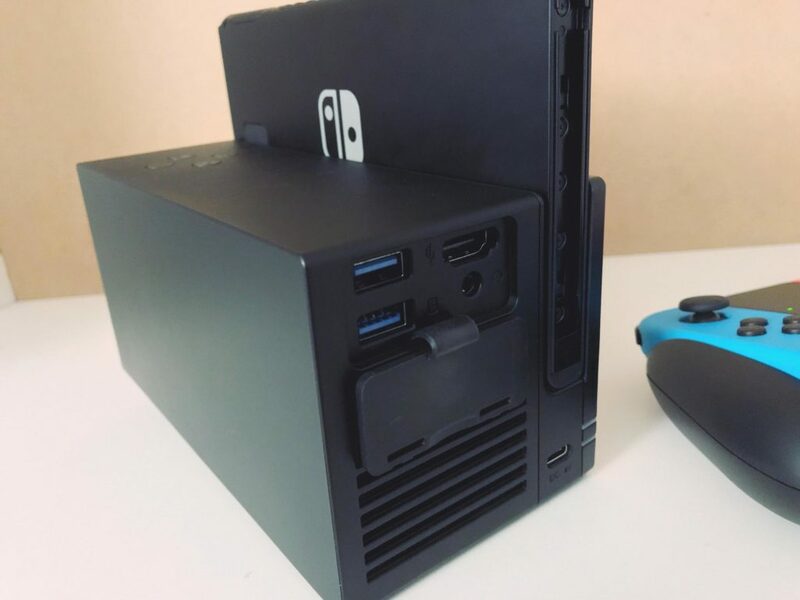 Just like the official Nintendo Switch docking station, minus the need for a TV. Considering this is a projector, the device does get pretty warm after extended periods of use – although nothing crazy – and in case you were wondering, the fans are probably just a little too loud for use in a college library. That having been said, where the OJO Projector shines its brightest is at parties and at most parties we’ve been to lately, drowning out fan noise with the projectors single large backfiring speaker isn’t going to be a problem. Turn up the music!! You will likely be surprised by just how clear the picture quality really is for such a tiny device. Wirelessly playing on a theater-sized screen wins over image clarity any day! Last but not least, let’s take a quick look at the port selection which is found on the back of the device. The OJO Projector features two USB 3.0 ports (with power out), an HDMI In, a 3.5mm Audio Out, and a single USB-C port for charging the device. 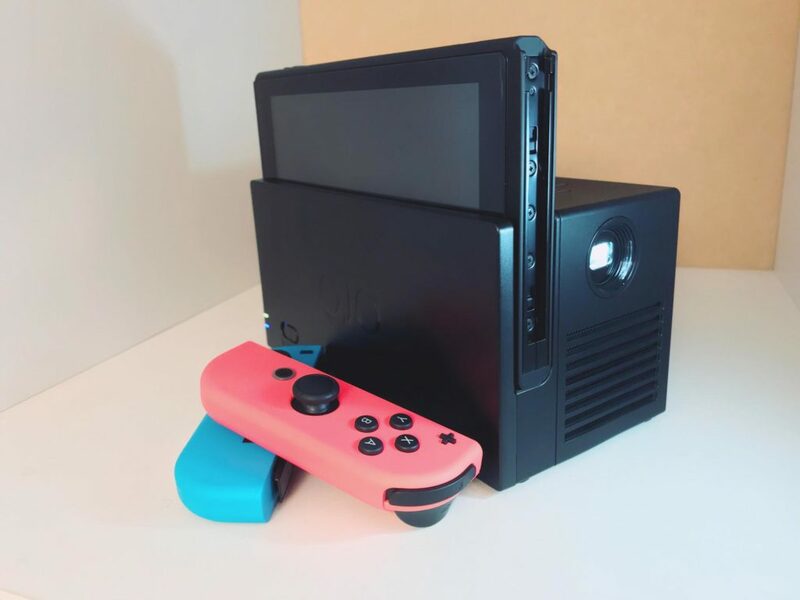 Theoretically, the OJO Projector can be used as a massive power bank via the two USB 3.0 ports on the back, but the chances of someone actually using this device to charge their devices while on the go is highly unlikely, to say the least. A more interesting and realistic scenario is simple using the device as a portable projector via the HDMI In on the back of the device. One thing we would love to test out is how well the device holds up after long-term real-world use, but I guess we will have to leave that up to a future article. You can check the device out on Amazon here! If you have any questions, please feel free to leave them with us in the comments section below!